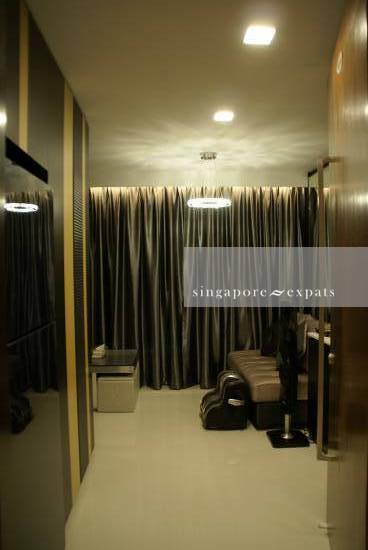 Fully-furnished/equipped plus interior-designed studio apartment w/ Park facing Balcony on the 6th Floor, (w/ a Lap pool on the 7th floor, roof deck) that is 3min walk to City Square Mall, Jalan Besar Food haunts, Farrer Park MRT Station (North-East Line), 5 min walk to the vibrant 24hr 24/7 Mustafa Centre and 6 min MRT ride to Orchard Road. Also great to note that Bendemeer MRT (Downtown Line) & Lavender MRT (East-West Line) is just 10 & 15 min walk away. - 2x LG Flat-Screen TVs 29" + 42"
Do contact me at 91501981 for serious enquiries. Property Agents are welcomed to contact me only if you have a potential tenant who wishes to view. Studio only available from August 2018 onwards.